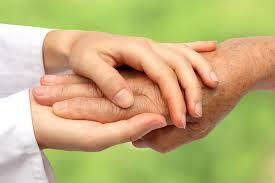 Can You Prepare for Caregiving? While millions of Americans currently act as family caregivers for a senior loved one, millions more know that one day they will likely need to step in to act as a caregiver for their senior parents. While some people choose to avoid the thought, another sector of the population is wondering what they can do to prepare for the duties that they will eventually need to take on. According to many elder care experts, preparing for senior care is one of the most important pre-emptive steps that you can take. Have “The Talk”: Talking about elder care options is a big step forward. By approaching this subject with loved ones before care is needed you may be able to more openly discuss and consider their desires. Do they want to age at home with assistance from an agency using a home care software or home care system? Or would they prefer to look at assisted living facilities? Look at Finances: Planning for elder care ahead of time also allows a chance for finances to be evaluated so that seniors can really look at what will be affordable for them and their families. Home care managed by a home care software or home care system, such as ClearCare Online is an option that can often be manipulated to provide care only when needed by seniors and thus reducing costs. Be Open: Talking about care near the end of life can be frightening for anyone. Try to allow your parents to express their fears and talk about your own. Lay out what care they’re comfortable with you providing and what you’re comfortable doing for them – certain tasks, like bathing assistance can also be tracked in a home care software or home care system if they are something that you would both feel better with someone else providing. While no preparation can really likely prepare you for the emotional struggles of caregiving, planning for care from a financial and home care or assisted living perspective may reduce some of the stress.